Who would have ever believed this? 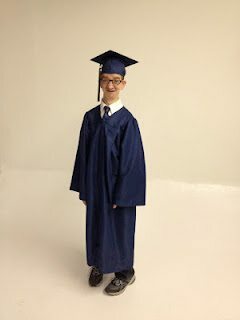 Our grandson R. G. Gray III will be graduating on May 22, 2012 from Pine Tree High-School’s Special Ed Department. He will turn 21 on May 7. He is the light of our family and church family. He was born during one of our NATIONAL SOUL WINNING CLINICS. Dr. Jack Hyles preached his sermon, “WHERE BE ALL THE MIRACLES” at the time of R. G.’s birth with none of us realizing what was about to happen at the hospital. R. G. was not suppose to live let alone walk and talk. At age 20, soon to be 21, he has the mind of a child and looks at the rest of world as if they are abnormal with him being the only normal one in the world. Ha! Dr. Hyles prayed over our grandson and as far as we are concerned is the miracle that Dr. Hyles referred to. 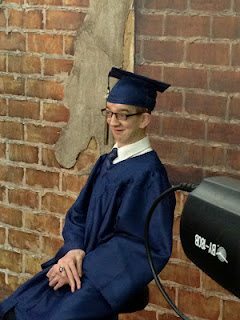 Please pray for R. G. for he will have another major surgery on May 1. By the way, he has a job interview on April 19, 2012. Can you believe that? GOTTA LOVE FAMILY!